Baby Language begins as babies become more aware of and begin to make sense of, the world around them. Many people think of baby language as what a baby is “saying”. Baby talk and baby speech development, however will only happen after understanding of words begin! 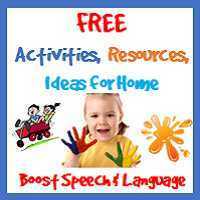 This developing understanding of spoken language is referred to as receptive language development. Understanding words will almost always occur before a baby will start saying words functionally (e.g., if they don’t understand that the round bouncy thing matches the spoken word “ball”, they are unlikely to try to say “ball” when they want it). Baby Language is learnt through all a baby’s senses. Understanding skills begin very early. It has been shown that babies can begin listening to their parents’ tone of voice while still tucked up in the womb! Once they are born babies will respond to spoken language by showing more alertness and receiving comfort from their parents’ voices. Even this is the beginning of receptive language development. Tuning to voice means they begin to tune into a parents’ words and sentences. If these words are said as the baby’s focus is on the same word, they begin to understand words. ​Babies will use all their senses to start to understand less tangible things too. Receptive language is about building an understanding of concepts – like love, comfort, “ouch”/ pain, hunger. Baby language is hence closely linked to senses such as hearing and sight. Baby doesn’t respond to name? Like all development, Receptive Language follows developmental milestones. There is some variation between babies in the ages of understanding spoken words so the milestones ranges can be broad at this age. ​As baby language development relies on the baby matching the spoken word with what the word means, the frequency of this pairing will impact on the development of their understanding skills. ​This is why one of the first words babies understand is their name. Parents will often call to a baby, say the baby’s name as they feed, dress and play with them. By 7 months babies typically turn to their name showing their understanding of the word. The more they hear their name, the more likely they will learn the “meaning” of their name. 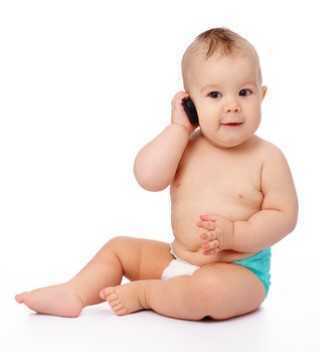 ​When a baby doesn’t respond to their name by about 9 months it can be an early sign of receptive language delay. Early intervention focusing on Baby language can prevent longer term concerns and discussing it with a medical officer or speech pathologist that works with very young babies may be warranted. There is some research suggesting this early baby language sign (i.e., when a baby doesn’t respond to their name) can be a red flag for other development concerns such as autism in babies. The word CAN needs to be emphasised and talking with a professional if you are concerns is a good first step. Send us a question in our contact window! When a baby purposefully looks at you letting you know they know that an aeroplane is going over head or the bin truck can be heard. They are “understanding” the meaning of what they are hearing! 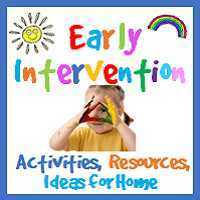 Showing recognition and understand of early games such as “Peek-a-boo”. Early signs they know the meaning of “words” e.g., they glance at a named toy or look for Mummy when you say, “mummy’s home”, they point to body parts or common clothes items like shoes. Paying attention when you are looking at books together. They might show their understanding by finding named pictures. Talking to your baby from day one using a sing-song intonation pattern is the best thing you can do to boost baby language! 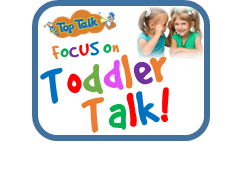 In our FOCUS on Toddler Talk Online Program we emphasise the need to use speech at the “right level” for the child’s understanding and talking skills. Using big changes in your pitch and loudness helps the baby to tune to your voice (and therefore your words). This is often referred to as “motherese”: the language of parents. Using early “scripts” from when a baby is a newborn helps children make that word – meaning match. For example, if everyone says “UUUUP…up, up, UUUP” as you lift up their legs as you change their nappy and every time you pick them up from bed, they are going to link the spoken word “up” with it’s meaning. 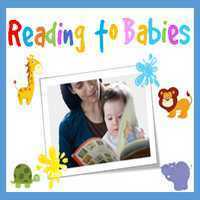 We have lots of suggestions in our Activities for babies and booking reading for babies website pages. 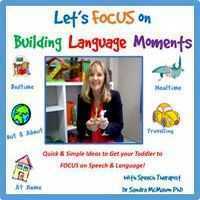 Take a look at our Language Moment Videos﻿﻿ too! It is never too early to start reading books to babies! 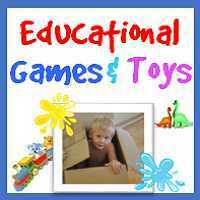 We talk about the way they can benefit most from these enjoyable everyday interactions.